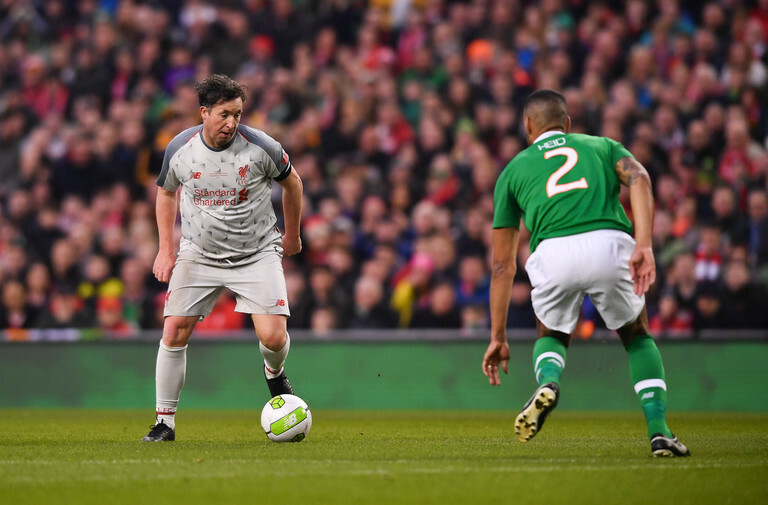 In what was a great day out for Irish football fans at the Aviva Stadium, Liverpool defeated Ireland 2-1 thanks to a Vladimir Smicer winner. 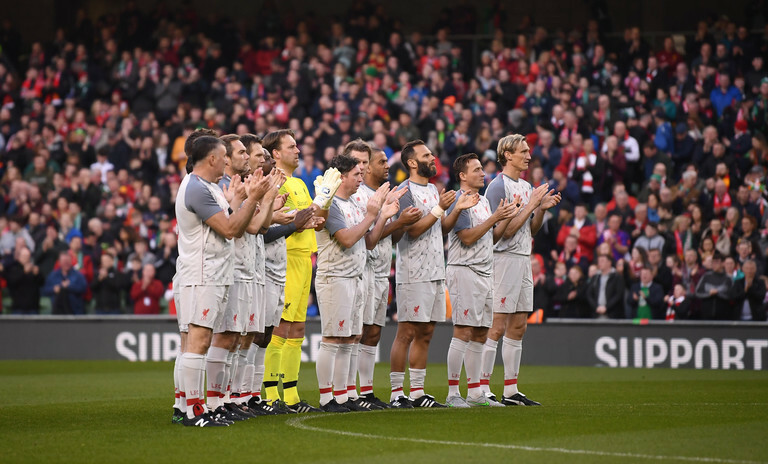 It was a fitting occasion to help raise some vital funds for Sean Cox and his family. In terms of performances, it was a very mixed bag. Some players still have it, others not so much. Here's how we rated them. Pulled off a cracking save to deny Robbie Fowler early on. Playing as a centre back, he looked more accomplished than his partner who was an actual defender. 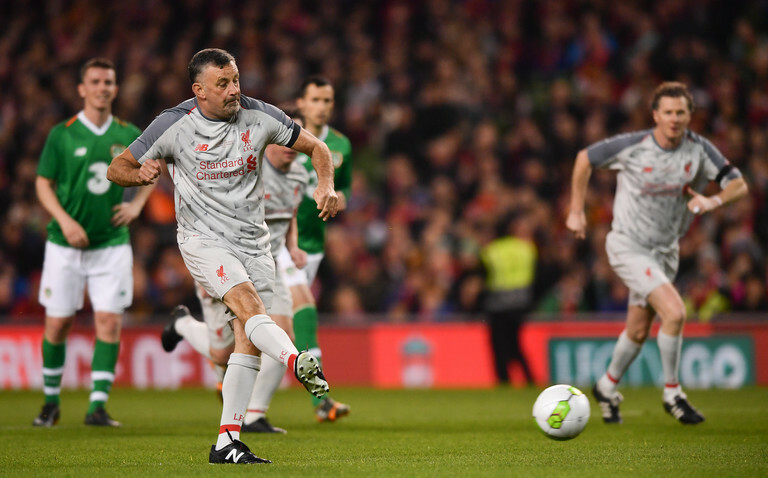 The biggest disappointment of the evening was the lack of Ian Harte free-kicks. Gave away the penalty and got a run around from Robbie Keane in the second half. The mobility is gone lads. Threw his jacket at Mick McCarthy walking off, pointing to some potential unrest in the Ireland camp. Swapped teams at half time in a presumed fit of rage. Watching Doyle and Keane up front together brought back some fond memories. The partnership hasn't lost an ounce of chemistry, and Doyle is still in great shape. Basically a cheat code in this game. 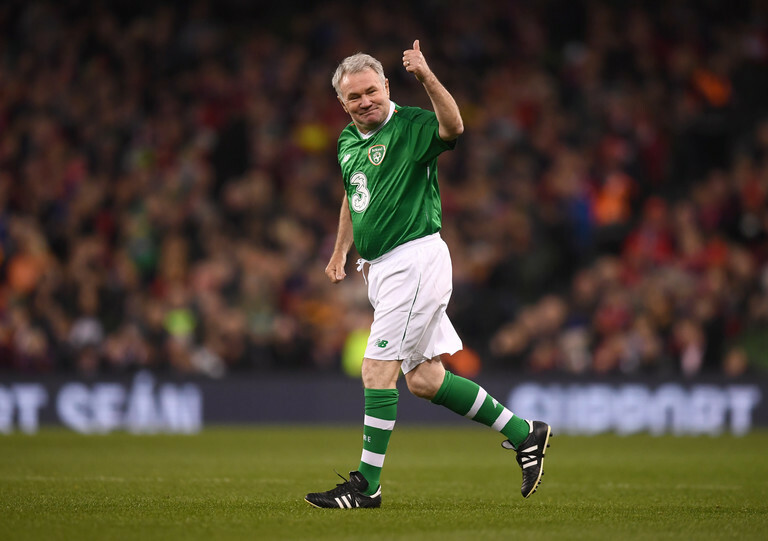 Made hay against a weaker Ireland defence in the second half. Mick McCarthy should probably sack him as a coach and get him back in the squad! Another lad who's ability to actually run stood out, Foley did a decent job down the right. He did Lee Carsley things. Opened the scoring with a decent header and generally played in a very Keith Andrews like manner. A commanding and forgettable showing. he never lost that set-piece ability anyway, coming up with some lovely deliveries. Almost scored a volley from about 200 yards. Mr consistency, a guaranteed 7/10 every week. We will just give him one here as well. Like the conductor of an orchestra in midfield, just don't ask him to do any running. A quiet game, didn't do a whole lot. Had some lovely touches and hit a couple of nice passes. Played left back, didn't really suit him. A good effort down the right, didn't venture forward too often. Didn't have a lot to do, but let in Smicer's goal. Fit as a fiddle, he wouldn't look out of place in an actual football match. A typical target man performance in his brief cameo. Rattled the bar with a beauty of a looping header that would have salvaged a draw for Ireland. Pulled off an Alison-like turn to send Kevin Doyle to the shops. Did feck all else, but that was enough for us. Had a solid showing in the centre of defence. Lost his head with Jermine Pennant early on, then got cleaned out by Stephen Hunt. In decent shape. Probably in better shape than most current Premier League players, should be signed by Fulham to sort out their defence. A wand off a left foot, loses four points for chopping off those long luscious locks. 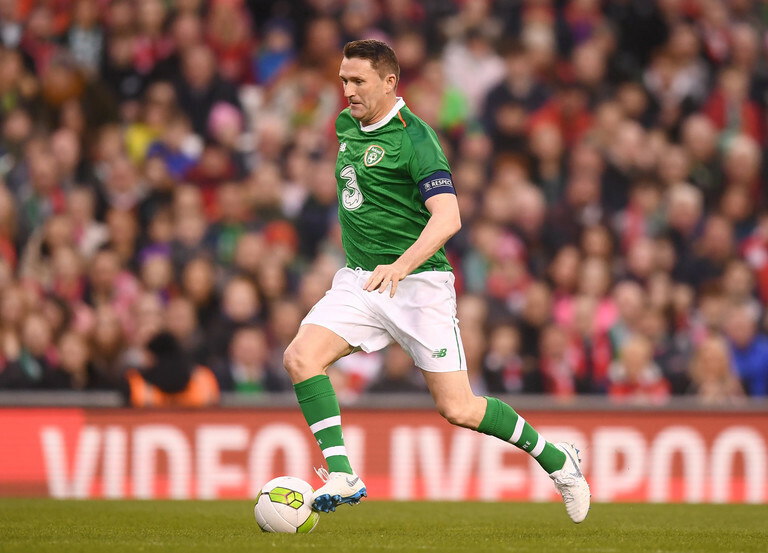 Made a couple of cracking defensive contributions, stopping Keane form scoring for Ireland one more time. Negative points. Now a central midfielder apparently, he lacked the engine that made him such a good player. Still better than most. He may have put on a bit of timber, but the man has magic in his boots. Some beautiful touches around the box and would have opened the scoring if not for a cracking Henderson save. Won the penalty for Liverpool before being withdrawn due to injury. Made a miraculous recovery to play the second half. Had a cracking goal ruled out for offside, probably would have been better than the one in the Champions League final. Made it up for it later on with a tasty finish to give Liverpool the lead. Got largely overrun by a youthful midfield. Played the Claude Makelele role without making any tackles. Absolutely took the piss with a stuttered penalty run up to bring Liverpool level. Pulled on the green jersey for the second half. 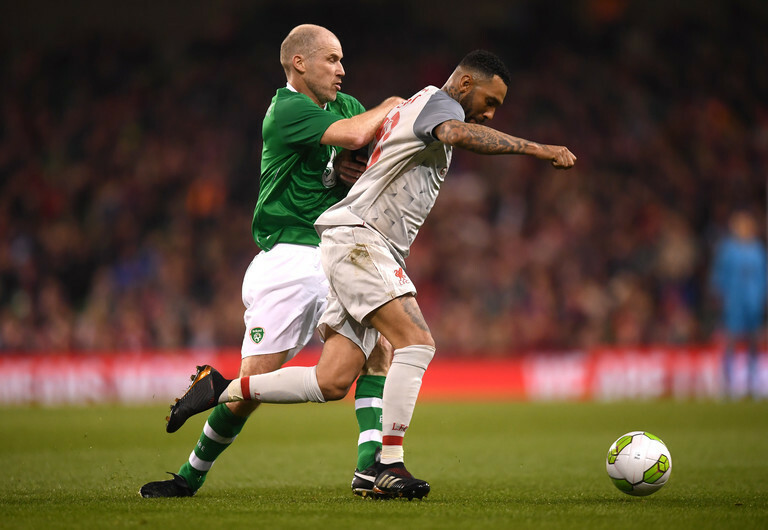 Got a bit of a trimming from Stephen Elliott in the second half. Played in an unfamiliar wide position, he didn't have enough in the legs for it. SEE ALSO: Stevie G's On Hands And Knees: A Where Are They Now?